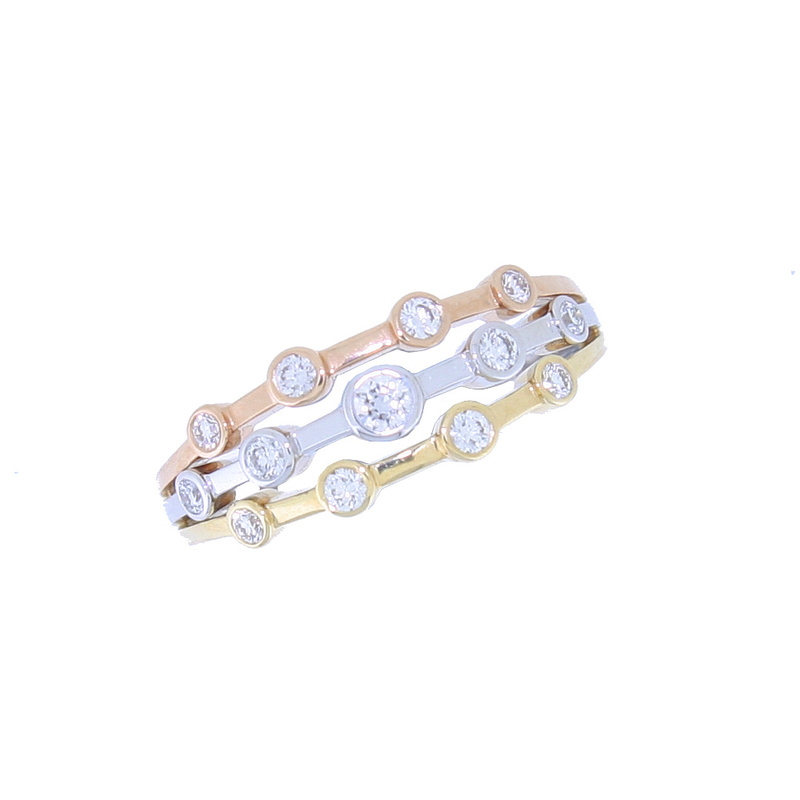 Diamond three row dress ring, 18ct white, yellow and rose gold mount - Connard & Son Ltd. This is a modern and comfortable dress ring. The centre row is made up of 5 graduating modern brilliant cut diamonds in 18ct white gold rub over settings. 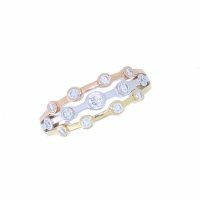 Set either side of this central band is a row with 4 diamonds on each side, all of equal size, one side set in 18ct yellow and the other side set 18ct rose gold. The rub over settings allow for a very smooth surface and no catching. The sizing is limited on this style of ring, whoever a new ring can be made in your finger size if it is not on the list below.